Strangely enough, most of us dream in color but some people or some dreams are in black and white. Experts have stated that people who are more aware of color during their waking lives are also more likely to remember colors from their dreams. Memory aspects of dreams degrade very rapidly after awakening, if a dreamer does not make a note of color information right away it evaporates and is no longer accessible so they may only recall the dream in black and white. We can control our dreams – these are referred to as ‘lucid dreams’. A lucid dream is when you are aware that you are dreaming, they can be realistic and vivid. Typically this happens when the dreamer experiences something strange and when they stop to question their reality, they then realize that they are in a dream. A lucid dream can be controlled or also have little or no control. Some experts have stated that men tend to dream more about other men, while woman dream equally about men and woman. Men tend to dream about aggressive encounters with other men (typically strangers) while woman tend to dream about interactions with familiar others that take place in familiar surroundings. It has also been stated that woman tend to dream more than men. The most common emotion experienced in dreams in anxiety. Negative emotions are much more common than positive ones. Nightmares are most common in children between the ages of three and four and between seven and eight. Adults have fewer nightmares overall. Adults may experience nightmares after a traumatic event that becomes a recurring theme. You can tell if someone is dreaming by carefully looking at their eyes. If the eyeballs are moving behind the lids, they are having a dream. But this is not to be confused by body movements which are not part of a dream – during a dream all body movements stop. REM (rapid eye movement) sleep is the stage of sleep during which dreaming occurs and this is characterized by paralysis of the voluntary muscles. Blind people do dream. What they see in their dreams depends on how much they could ever see. Someone who has been blind from birth only has auditory dreams – only sounds and no images. A person who has had some measure of sight would dream with that measure of sight. Faces of people in their dreams that would have only had met after loosing their sight would be a face that is a blur. You forget 90% of your dreams in the first 10 minutes of waking. It is said that you forget most of your dreams as you don’t give enough importance to them once you wake up. Most people when they wake are so busy thinking about things that need to be done or problems that need to be solved that they don’t give any chance for their conscious memory to memorize any dream image. People may want to also suppress dreams as they do not consciously want to remember certain dreams. Although many people believe that hours worth of events and activities can be dreamed in a couple of seconds this is not true. 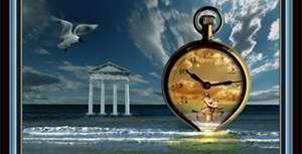 Time in dreams is not compressed. If you dream of an activity that would take five minutes in waking life, you probably dreamed about it for five minutes. Dreams generally run from nine minutes to an hour and the course of time appears to be the same as in real life. Another fact about dreams is that we only dream of people or places that we know. We may not recognize some people in our dreams but they are actually people we have seen during our lifetime but may not remember. People also tend to have common themes in dreams, which are situations related to school, being chased, running slowly, sexual experiences etc.